I put this outfit together in a very rush moment and all I was looking for was a comfortable approach, a mix of casual elements with ladylike finishes. Here is the result! Thank you for your visit and have a great Thursday! you look gorgeous! i love this look. You look great! Love your bag! love your coat & shoes! you look fantastic! This scarf is something adorable. 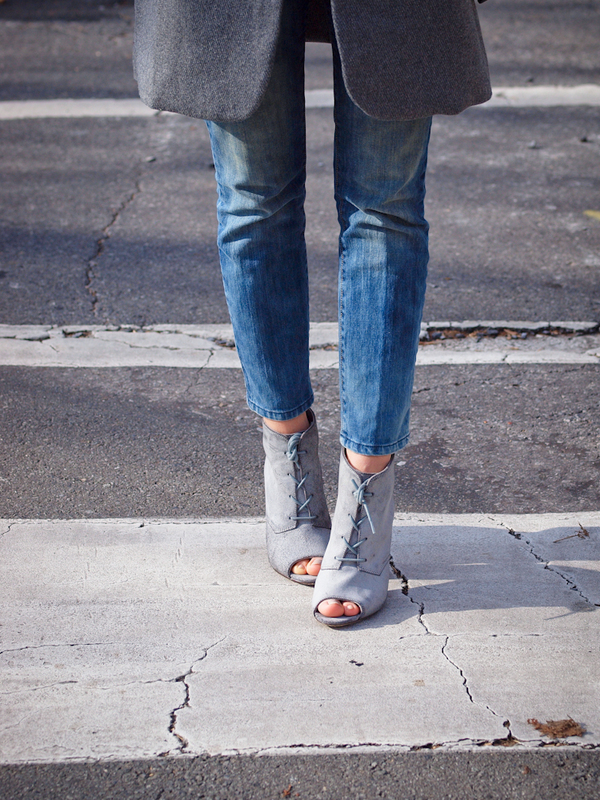 Love your booties and coat! So chic! 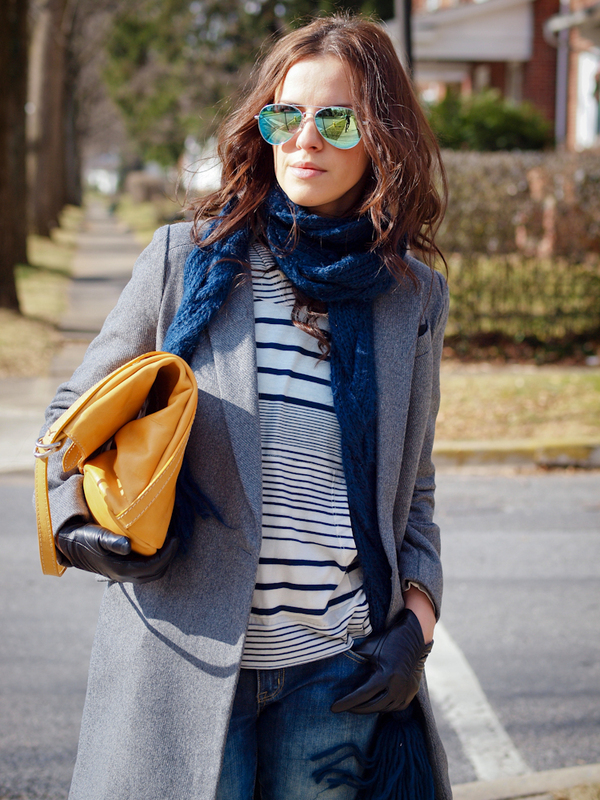 Love this look, especially the fun yellow bag! Your look really adorable!!! I`m in love!!! lovely style easy and stylish! For a rush moment, you did well! I like Grey and Blue mixed together. Didn’t know they look this good. Sophisticated rock. That’s the first word combo this looks evokes for me! Bravo once again lovely one! Hello Veronica! I hope everything is well! You mixed two of my favourite colours: navy and grey (which I consider my personal ‘blacks’!) and this look is so chic! I really admire you as I’m not sure I can wear those beautiful open booties during the winter…maybe I should be more brave!